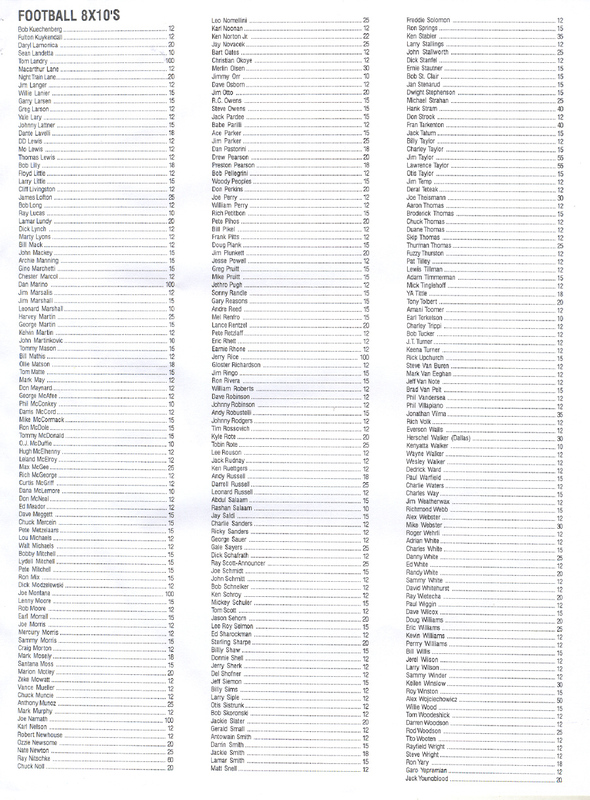 This page takes a minute to download, but includes a very extensive list, be patient. These photos are of the highest quality, satisfaction guaranteed. 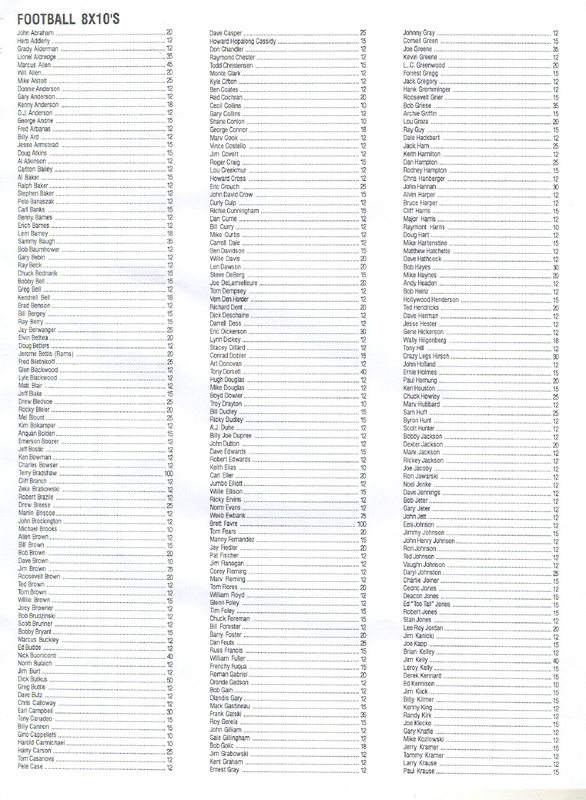 The autographs on this page are not eligible for any type of discount offer I make. Prices on this page are subject to change. BRUCE SMITH, Johnny Lujack, Babe LeVoir - Bruce Smith was the 1941 Heisman Trophy winner. I have an item pencil signed by Bruce Smith. A four leaf clover souvenir from the Shamrock Athletic Banquet at St Augustine. I sold a signed program a few months ago and this item also came from the banquet. 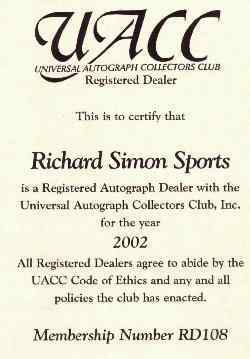 Bruce Smith is quite a rare autograph and I could only find two Bruce Smith autographs on the internet. An Album Page for $2000 and a Bowman card for $4000. Of Heisman Trophy winners, his signature is the second toughest to find behind the autograph of Nile Kinnick. 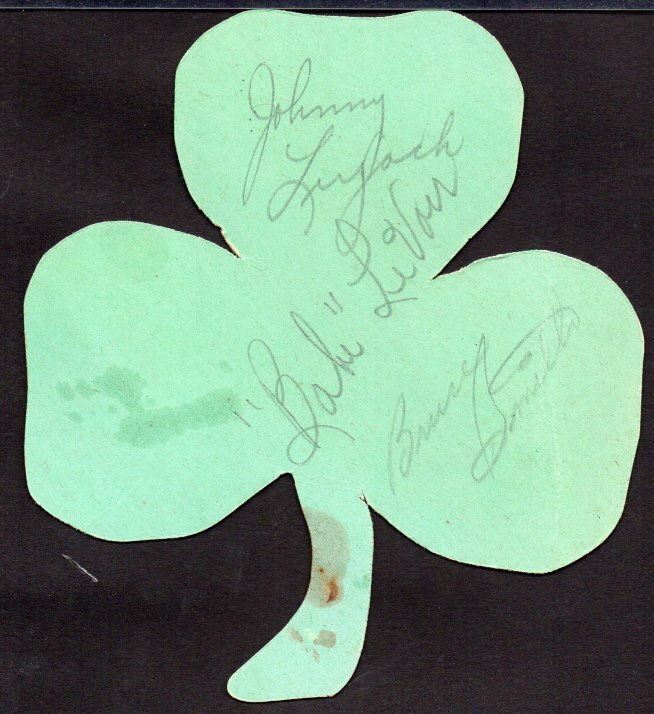 The two other autographs on this are Heisman winner Johnny Lujack and Babe LeVoir, star running back at Minnesota. The clover has a stain and a crease. See my scan. I have a copy of a newspaper article about the dinner. $475. Shipping costs addtl. $5 per order on these photos. Click here to return to main football page. Click here to return to Home Page and index of entire site.